We enter into contracts every single day, most of the time, not realising we are doing it! When it comes to your business, it is very important to know when you are entering into a contract or an agreement, and what the terms of the contract/agreement are, as this can have an impact on your business. 1. IN ORDER TO RUN SOCIETY SMOOTHLY - an active operating system is necessary. There must be value in a promise made by person to another person. The law of contract gives an importance and enforceability to a promise. 2. OUR SOCIETY DEPENDS UPON FREE EXCHANGE IN THE MARKETPLACE - in our daily lives, we depend upon voluntary agreements between individuals or other “legal persons”. Such voluntary agreements can never become binding without a legal contract. 3. TO ENSURE EQUAL COMPENSATION AND FAIRNESS - Contracts ensure that both parties of an agreement are equally compensated for their work, goods or money, and should protect your business interests. Contracts aren't promises, they are agreements defined by law. They involve two or more parties that agree to take a specific action or perform a service in return for a "consideration," such as monetary compensation. Contracts create legal rights and duties. Not all contracts and agreements are legally binding - Contract law defines which agreements are -- and are not -- legally binding. Not all contracts are valid, even if they were voluntarily signed by all parties. Contracts are legal agreements that may or may not be written. The main difference between a written contract and an oral one is that it is easier to prove the existence of a written contract. In the broadest definition, a contract is an agreement two or more parties enter into with the serious intention of creating a legal obligation. The Law of Contract concerns agreements which create legally enforceable rights and duties. Freedom to contract & good faith are fundamental concepts in the law of contract. OFFER & ACCEPTANCE - There must be an intention to create a legal obligation by the parties concerned; an offer is a statement of intent in which the offeror expresses (to the person to whom the offer is conveyed) the performance and the terms to which he is prepared to bind himself. Being a unilateral declaration, an offer does not in itself give rise to a binding obligation. For an offer to be valid, it must be: Definite, Complete, Clear and Certain. An acceptance is an expression of intent by the offeree, signifying agreement to the offer. For an acceptance to be valid, it must be: Unconditional; Unequivocal; consciously accepted by the person to whom it was addressed; and compliant with any formalities set by law or the offeror. CERTAINTY - The agreement must have certain and definite terms. The terms of the contract must be certain so that each party knows what has to be done under the contract. In a contract of sale, for example, there must be certainty about what exactly is being sold and the price to be paid. Contracts that are not certain are vague, and a court will not uphold them. There must be consensus between the contracting parties. FORMALITIES - If you enter into a contract that requires formalities, make sure to comply with them eg: a contract for sale of land must be in writing; similarly, suretyship agreements, credit agreements, ante nuptial (marriage) contracts, leases over ten years, and contracts for executionary donations must be reduced to writing and signed by the parties to the contract, for it to be valid and compliant with our laws. POSSIBLE - The contractual obligations must be possible of performance - There can be no contract to do something that is impossible. If the contract only became impossible after the two parties entered into it, then the contract simply falls away. But, if the contract became impossible due to the fault of one of the parties, that will be a breach of contract, and the other party can claim damages (compensation). 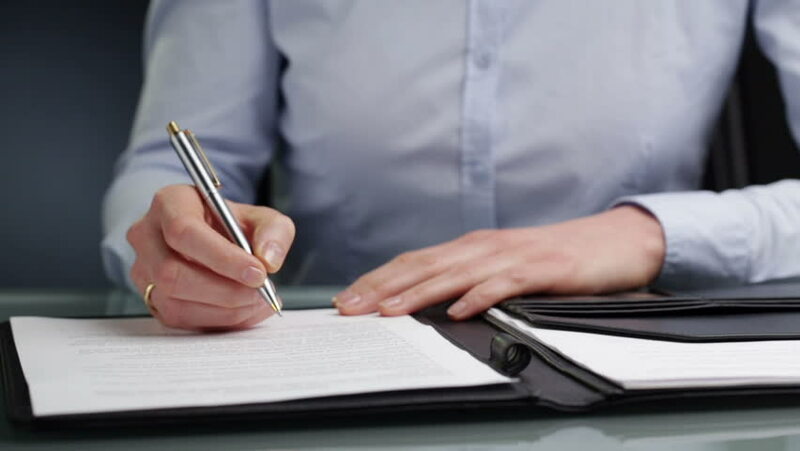 As a general rule, if you are entering into a contract, it is best to consult with an attorney who can review the document for you or draft an agreement, tailor-made to your requirements, to suit the transaction you wish to enter into. Money well-spent now may save you a lot of money further down when a dispute arises.